Did you receive a postcard from us? Grace Church is a new church in Hilton. Church is a group of Christians who meet together. 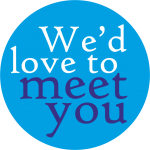 We would like to get to know others in the village, introduce ourselves and, if you are interested, share a bit about our beliefs. To this end, we will be knocking on doors in the village on a Sunday afternoon between 2pm and 4pm. We usually deliver the postcards on Wednesday or Thursday and if you have received one then we will be coming on the following Sunday. ii) send a text message to the number on the card; include your house number. Hopefully, we will see you soon. We would love you to join us this Easter to celebrate Jesus’ saving work; his death on a cross and his resurrection on the third day. We will be gathering in the evening to reflect on Jesus’ death on the cross. 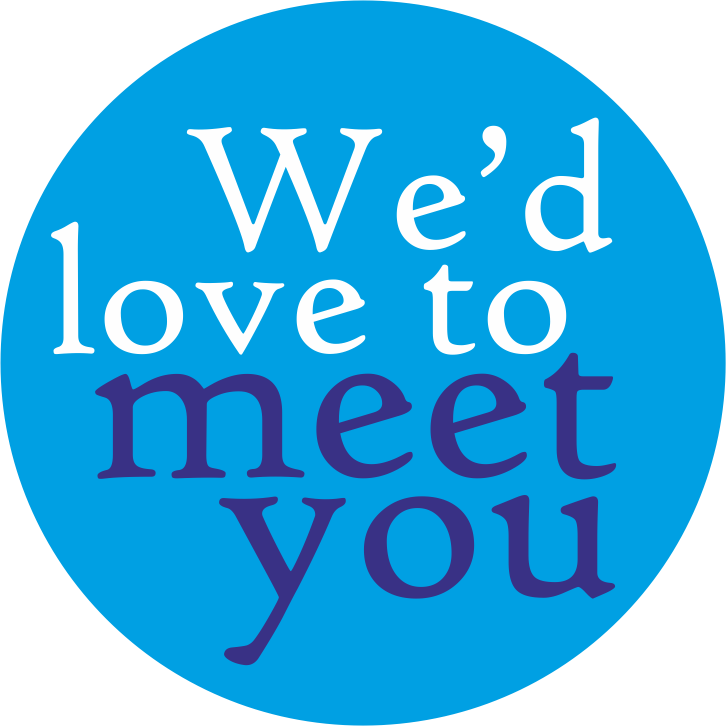 We will meet in one of our homes so please contact us to find out where. You are very welcome to join us for food also. 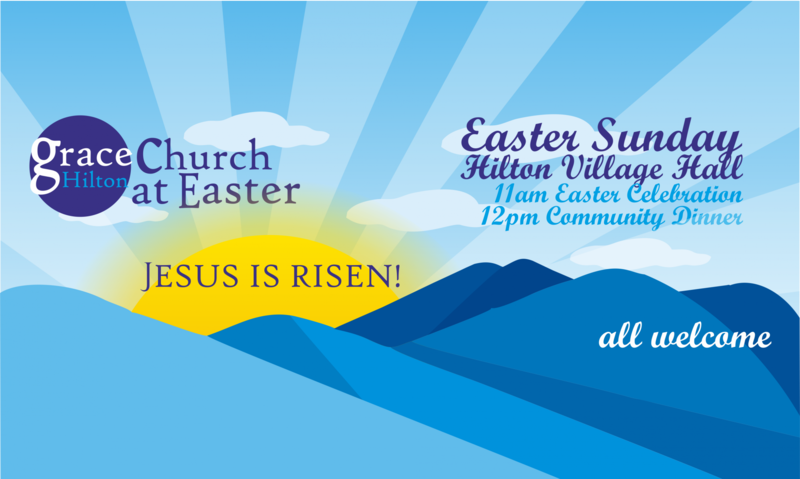 We will have an Easter Celebration at 11am in the Village Hall. With singing, Bible readings, Bible Teaching, prayers and children’s activities we will celebrate Jesus’ glorious resurrection from the dead. Then this will be followed at 12pm by a community meal which everyone is welcome to stay for. If you would like to discover more about the Christian Faith and what Christians believe there are a number of ways you can do it. We believe that God has revealed himself to us through The Bible, sometimes referred to as God’s Word. So a good place to start is to read it for yourself. It is not all easy to understand so we would recommend beginning with one of the Gospels. The four Gospels: Matthew, Mark, Luke and John, at the beginning of the New Testament are basically accounts of the life of Jesus. They show, from different perspectives, how Jesus fulfilled promises made to God’s people and how we can follow him today. There are number of ways for you to get started and it is up to you which you choose. A) You can read it for yourself. If you have a Bible then use the contents page to find Luke’s Gospel, or one of the others, and read it. You will probably find many of the stories familiar to you. As you will see from the introduction, it has been written from careful research and eye-witness accounts to show the reader who Jesus is, and to give evidence for it. If you do not have Bible then contact us and we can get one to you. B) It is sometimes good to read it with someone else. That way you get to ask questions and discuss things you disagree with or particularly enjoy. We would happily arrange for someone in Grace Church to meet with you to read The Bible together, or to discuss your questions. We could use the Uncover resource below? ‘Uncover’ is a resource that is available as a study guide to help you Luke’s Gospel. It is copy of the book from The Bible, with links to a website that has more information and explanations for some of the text. Click on the image to go to the website and see for yourself, or see below if you would like us to go through it with you. Either way, Contact Us and we can give you a copy.